Audrey Hepburn Oscar Dress – Audrey Hepburn once said, “Happy girls are the prettiest.” Although wildly modest despite her in-surmounted success and icon status, perhaps Miss Hepburn was, in fact, “Terribly happy,” as she stated in her Oscar acceptance speech at the 26th annual Academy Awards. Indeed she was, and still is, regarded as one of the prettiest women of all time. The actresses’ petite frame, elegant silhouettes, and clever fashion choices, which helped launch her into legend status, were all on display when in, 1945, she took to the stage to accept Hollywood’s most prestige award for her role in Roman Holiday. It was Thursday, March 25th, 1954 at the RKO Pantages Theatre in New York. Frank Sinatra won the Oscar for best actor, Walt Disney took home four Oscars, From Here To Eternity won the award for Best Motion Picture, and Jean Hersholt presented Audrey Hepburn with the Academy Award for Best Actress. 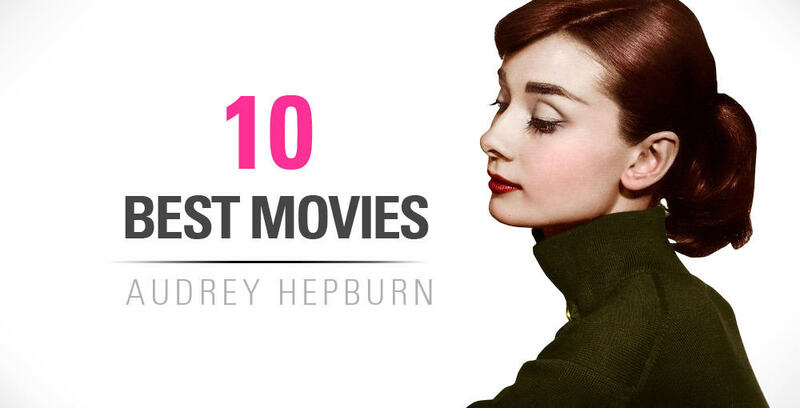 The moment would go down in Hollywood history as one of many fashion victories for Audrey. 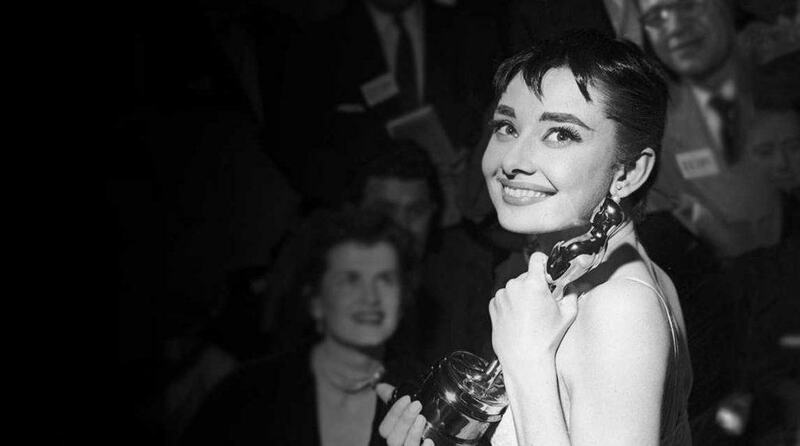 As effortlessly as only Audrey can do, the actress accepted her award only moments after removing her wig and costume makeup from the play, Ondine, which she had just wrapped down the street before being whisked away in her limousine and rushed to the RKO! Source Here. FUN FACT: Audrey “lost” her award while on her way to the post ceremony press conference. She was handed an extra one for her to hold for picture being taken. Luckily, they eventually found where she left it. Read about the whole story in this free google book here. Audrey Hepburn rushing from her play Ondine to put makeup on right before she is called up on stage for her Oscar! Audrey of course chose Givenchy for the occasion, her favorite designer who would not only dress her personally and professionally, but become a close confidant who she would develop a deep and connected friendship with for over forty years. A blossoming and barely known Audrey had sought out Givenchy just a short time prior to insist he transform her and her character for the film Sabrina, which he reluctantly and wisely did. That meeting of minds would prove to be the beginning of a fashion fairy tale. The duo would engage in a delicate dance of designer and doll, and an intricate tango of inspiration and muse for years to come. At times it was unclear who was bolstering who, as both the adored actress and haute designer elevated one another’s careers significantly. Audrey once told Givenchy he was like her big brother. One thing was certain, Audrey Hepburn and Hubert de Givenchy shared an unequivocal courtship of charisma and couture. Source Here. The Givenchy ensemble proved to be no less iconic than several others she would don in years to come. The dress was a belted A-line ballerina length masterpiece. Cream colored soft, floral lace details and Audrey’s signature straight horizontal neckline made it a classic piece which would later go on to be featured in museums. Interestingly, that particular neckline was previously referred to décolleté bateau, and was later quipped as décolleté Sabrina thanks to the actress’s preference for it. The back of the dress was something fit for a ballerina, featured delicate spaghetti strapped and a button-up back. The dress was not simply from a Givenchy collection. It was made by Hubert de Givenchy himself. Perhaps the only thing that could make the dress prettier was to drape it on the gorgeous Audrey. Her petite frame paired with her strong broad shoulders, and toned arms elevated the dress to new standards of elegance. Paired with a slicked back pixie cut and piecey bangs, Audrey’s delicate and feminine features were showcased flatteringly. The makeup was classic and simple, a full, bold brow Audrey favored, a slightly winged eye, and deep crimson lips. Audrey was always wise in accessorizing and this occasion was no exception as the muse knew the dress could stand on its own and chose to pair it only with simple pearl earrings. The look tied itself together completely, showcasing the effortless elegance, Audrey fashioned time and time again. The year 1954 proved to be a successful one for Miss Hepburn. The young actress’s career was bolstering from her Roman Holiday success, Oscar win, and was already in production on her next wildly successful film Sabrina. Her friendship with Givenchy was budding, and her style and beauty were being idolized by women all across America. Although the film she won an Oscar for only earned her $12,500, it was the catalyst to her success for years to come. 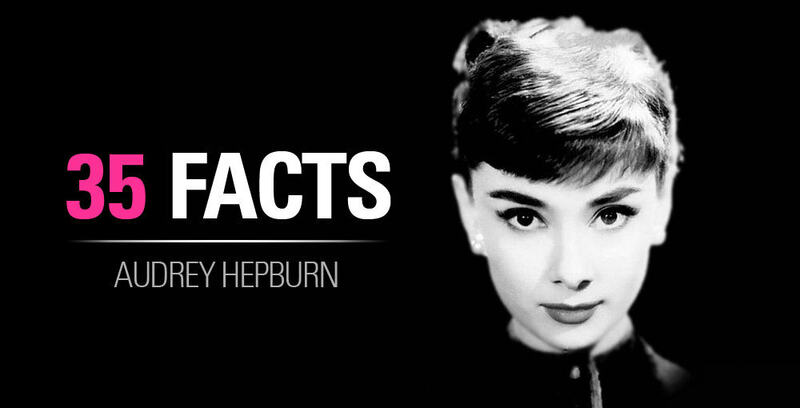 With her insatiable beauty, talent, modesty, and armed with one of France’s most renowned designers as her new best friend, Audrey Hepburn was well on her way to becoming an unstoppable Hollywood legend. For more information on Audrey, her Oscar night, or her fashion influences, check out the following links. Previous articleElizabeth Taylor Eye Color – Did She Really Have Natural Purple Eyes?